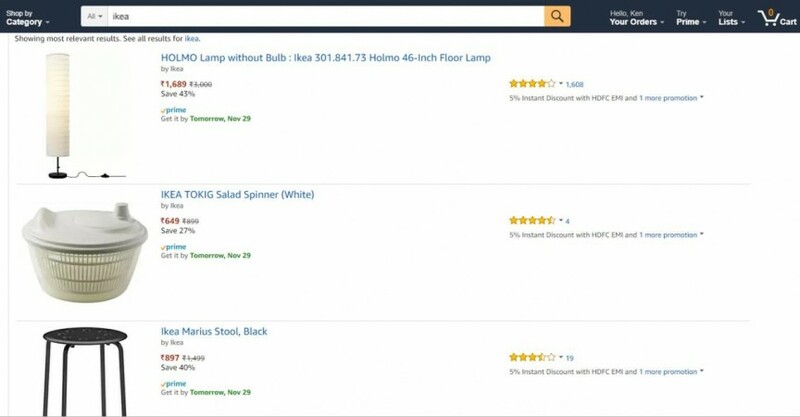 IKEA products like chairs, stools, saucepan sets, artificial potted plant, multipurpose containers, cutleries and others are currently being offered on popular e-commerce websites. However, these are not sold directly by IKEA. IKEA, the Swedish multinational retailing company, started India operation with the launch of the first store in Hyderabad in August. The store offers over 7,500 products including thousands of products priced below Rs 200, which attracted nearly 40,000 people on day one. 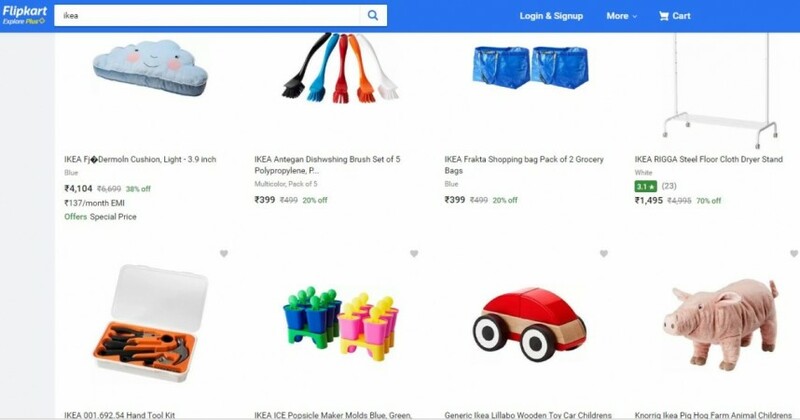 For now, IKEA sells products only offline via Hyderabad store while some of the products are available on e-commerce websites like Amazon and Flipkart. The e-commerce websites, Amazon and Flipkart offer IKEA products like chairs, stools, saucepan sets, artificial potted plant, multipurpose containers, cutleries, bed sheets and others. Independent sellers are buying such products in bulk from the Hyderabad store and sells the purchased products across the country via online, reports Times of India. IKEA India is not directly involved in online sales via Amazon and Flipkart. 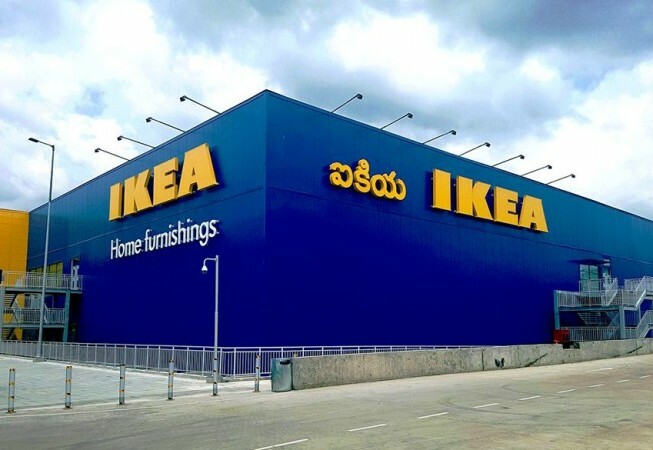 "Currently, Ikea India is selling products in India through its first store in Hyderabad opened in August and not engaged with any other online marketplace," the publication quoted IKEA India spokesperson as saying. Though IKEA India currently not operating online, the website looks almost ready for the same. IKEA India website visitors can now browse through the entire product portfolio and can add products to a wish list. But there is no option to place the order now. Globally, 10 per cent or around $3.8 billion of IKEA's sales come via online. India being a hotbed for online sales, IKEA expects significantly higher online sales here than anywhere else in the world. The home furnishing giant plans to open its second store in Mumbai next year and online sales are expected to start soon after. The works for the 4,30,000 square feet store in Turbhe, Navi Mumbai is currently in swing. The third store of IKEA India will come up in Bengaluru and it will be located near the Nagasandra Metro Station. The 500,000 square feet store opening has been earmarked for summer 2020. IKEA India has also acquired land in Gurugram for the fourth store and it will serve Delhi and NCR. IKEA India has ambitious plans to open 25 stores across cities such as Ahmedabad, Surat, Pune, Chennai and Kolkata by 2025.